High quality die-cast aluminum spin-on adapter with 1/2" NPT ports, Various thread size and fits 2 1/2" to 2 3/4" oil filter landings. 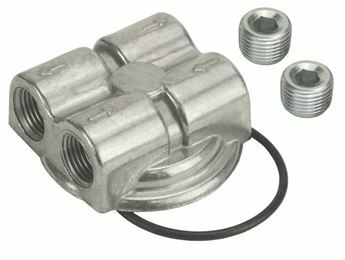 These provide external oil lines to allow the addition of an engine oil cooler and/or remote filter mount, installing at the stock engine oil filter location. 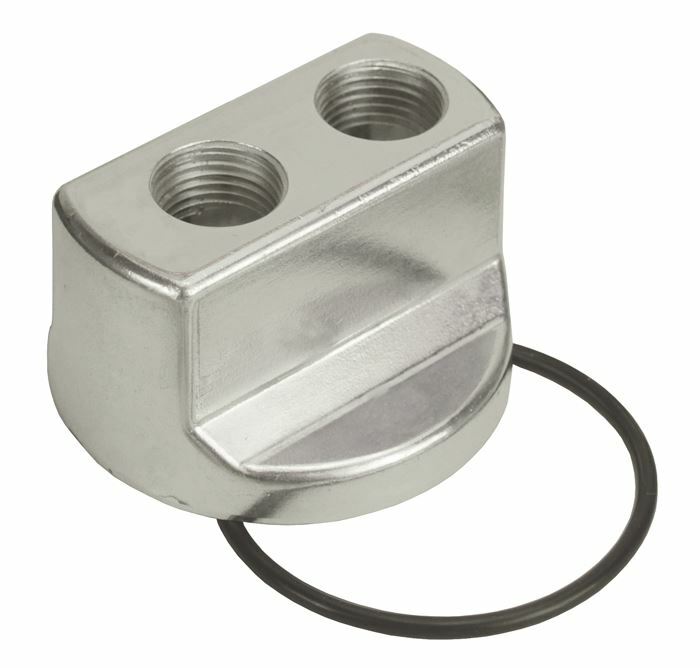 This all-new version has a billet style look and has an ultra-bright, polished appearance.